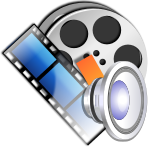 SMPlayer is an another popular open source video player that provides lot of features. It is based on the MPlayer command-line application and it’s fully compatible with the GNU/Linux and Microsoft Windows operating systems. The application is basically an advanced GUI (Graphical User Interface) front-end for MPlayer, allowing users to watch movies, TV shows, DVD-Video discs, as well as listen to radio stations, playback music files and view YouTube videos. 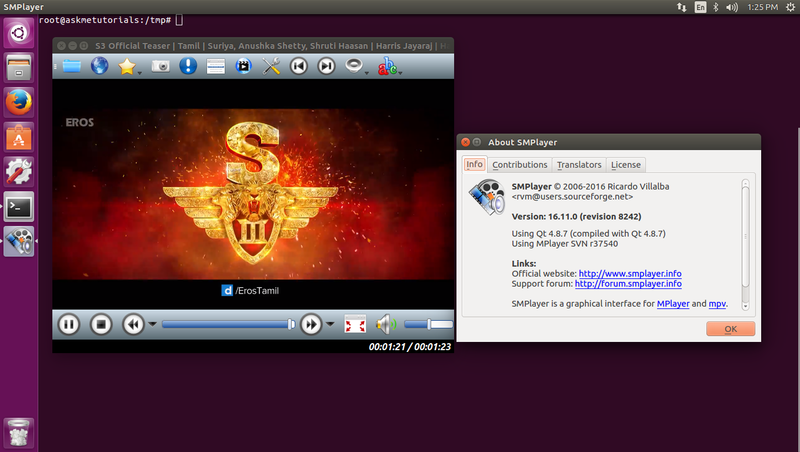 Speed playback option availableie 2x,4x, etc..
There’s the new option ‘Show info on OSD’ in View -> OSD (shortcut Shift + I). It displays info about the current media (resolution, bitrate…) on the OSD. Press “Shift + I” (or just “I”) to turn it off. There are available more options in Preferences -> Playlist to better control the behaviour of the playlist. Some of the new options will allow the playlist to be more suitable to store bookmarks (turn off the options “start playback after loading the playlist” and “play next file automatically”). The current favourites menu in SMPlayer is not designed to handle many items, however the playlist can support without problem hundreds and even thousands of items, so I think for bookmarks with a lot of items it’s better to use the playlist. Another change in the playlist, now the load/save buttons are grouped together in a popup menu.